Mornington Peninsula Brewery has become the latest Australian brewery to be sold. It has been acquired by Tribe Breweries, the New South Wales-based operation launched by the family behind Stockade Brew Co and the brewing facility previously known as BrewPack. 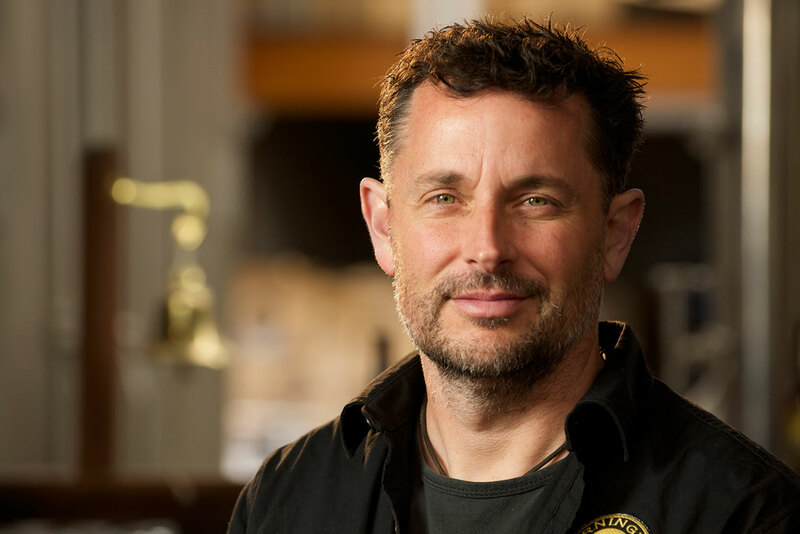 The 100 percent acquisition means Mornington Peninsula Brewery remains under independent, Australian ownership and sees it join a growing number of brands operating under the Tribe banner. As well as brewing dozens of beers for other businesses under license – "partner brewing" as Tribe CEO Anton Szpitalak calls it – Stockade Brew Co, WILDE Gluten Free Beer and fledgling Thai beer brand Chao Siam are also part of a business with grand ambitions to become a major player on the local and international beer scene. Mornington Peninsula Brewery CEO Matt Bebe, who will be continuing in his role and becomes a shareholder within Tribe, says the decision to sell the business he launched with mates in October 2010 – following through on a beer-fuelled proposition made while celebrating Hawthorn's 2008 Premiership – was driven in part by the majority of shareholders as well as a need for more resources to take the brewery further. "The major shareholder wanted to sell his shares and other people wanted to release the money they would have made from a sale of theirs," he told The Crafty Pint. "When that reaches a critical mass of 60 or 70 percent, you have to work out what you're going to do." That led to a meeting with Advent Partners, the private equity firm that has invested heavily in Tribe as it looks to grow from an estimated eight million litres annual production to around 30 million, and, ultimately, to today's deal. Prior to joining Tribe, Matt said he had been approached by another private equity firm as well as one of the global brewing companies but believed today's arrangement offered the best fit, given Tribe's existing capabilities and plans for beer in the future. "It's never nice to completely sell," says Matt, "but, when it boiled down to it, Mornington Peninsula was never going to continue to grow from a capacity point of view unless we got more money from the bank or the shareholders." Matt (pictured above) said the decision has left him with mixed feelings. "I would have loved to take the brewery on myself," he says. "It's a tad disappointing but you have to be realistic; it's a very exciting new phase [and] there's a lot of opportunity. Tribe just want us to do more of what we are good at – more barrels, more new beers. "The benefit for us is that Tribe is part of the IBA [Independent Brewers Association] so we're still independent. I also wanted [the new owner] to be local. We'll still be brewing at Mornington Peninsula; maybe there will be an extension at the Latham Street site." For Anton, today's acquisition completes a process that developed "organically", initially chatting with Matt about the future of beer before the conversation gained momentum over time. "Matt and the Mornington crew make beer; they make amazing beers all the time and are pushing styles that are really early on the curve. "We're super jazzed about it." He says there's "no linear path" mapped out for the new acquisition and no need to pluck one or two hero beers from the Mornington portfolio on which to focus. "We make 150 beers [at Tribe]. We're not of the ilk where we need to make just five beers to make it work," he says, stating that Tribe "has an aspiration to become Australia's number one independent brewer". "This isn't big brewery versus small brewery; this is breweries working well together to create something more than their individual parts. It's a model that hasn't been seen here a lot." The latest move continues a rapid rise within the beer world by the Szpitalak family. They took over struggling contract brewing and packaging facility AIB (Australian Independent Breweries) in 2012, renamed it BrewPack and set about improving the operation. Their first foray into creating their own beer brand was with Macarthur Grange, which failed to catch fire but picked up silverware for beers now reinvented as part of their Stockade Brew Co venture. Subsequently, Tribe Breweries was created as an umbrella company and is looking to add more independent beer brands and breweries to its portfolio over time. 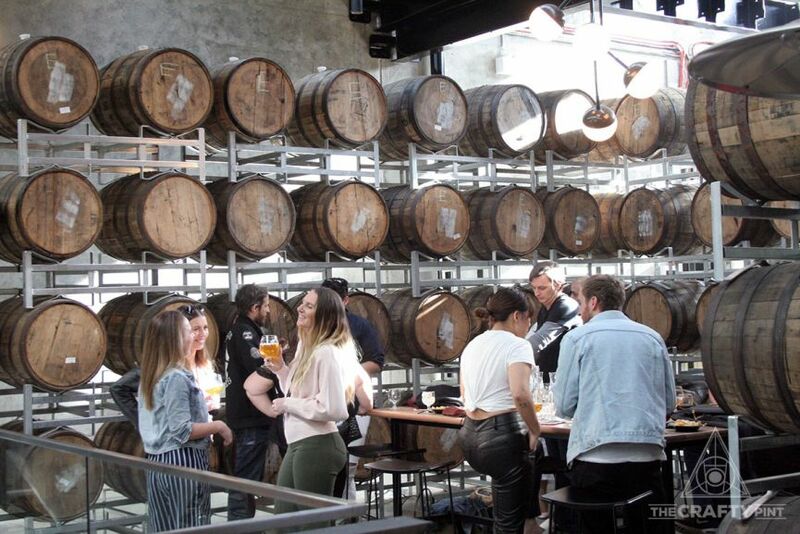 Earlier this year, Stockade moved into its own Barrel Room in Marrickville, while the company has already created collaboration beers with breweries as far afield as Thailand and South America. Inside Stockade Brew Co's Marrickville Barrel Room. Prior to entering the local beer world, Anton had spent a decade in the States and was working in finance in the field of renewable energy in New York. It was only when his brother Marek, who studied to become a brewmaster at Weihenstephan in Germany, suggested he check out AIB that the path which has led to Tribe and now Mornington Peninsula Brewery began. "My brother pitched it to me like the Coopers family," Anton says. "He had gone to school with one of them in Germany. The idea was never that we would have partners but, to get [the new facility in] Goulburn up and running, how do we do that?" As sales of their own beers and the volume of beverages they were producing and packaging for others continued to grow, they sought investment, which led to the deal with Advent Partners. "We sat down to work out what we wanted to be when we grow up," he says. As things stand now, he describes what they've embarked on as "the most aggressive" entry into the local brewing industry "probably since Power's in the 1980s", referring to the Yatala operation launched in competition to Castlemaine Perkins in 1988 and later acquired by Foster's in 1992. A $35 million production facility in Goulburn is due to open later this year and they intend to explore further opportunities like the Thai joint venture Chao Siam in other parts of Asia as well as other partnerships with Australian brewing companies. "Our packaging line and brewhouse is geared up for about 30 million litres [per year]," Anton says. "That's a lot of beer." At some point, that's likely to include Mornington Peninsula Brewery's Pale Ale, a beer previously produced at BrewPack prior to Mornington opening its second brewery. For now, however, Matt says all beers will continue to be brewed in Mornington and the intention is for all existing staff to be retained too. "For the first 12 months, we will be pushing hard in our own brewery," says Matt. "But you'd be a silly man not to look at some type of brewing somewhere else if it made sense." 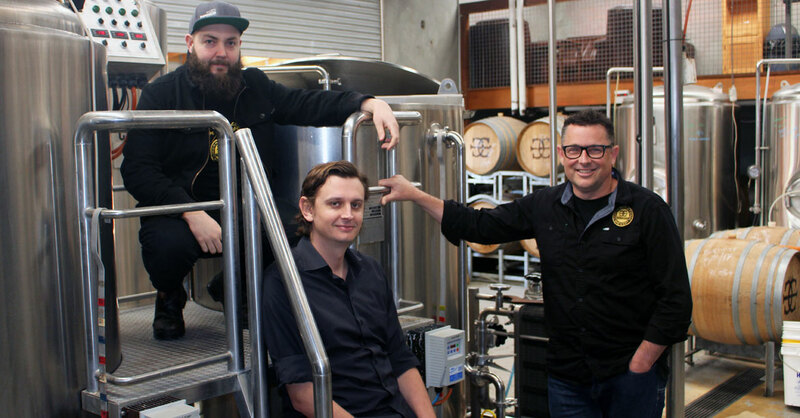 Left to right: Mornington head brewer Kristian Martin, Anton Szpitalak and Matt Bebe at Mornington Peninsula Brewery's original brewpub. Today's announcement sees the local beer landscape continue its evolution into something ever more multilayered. As well as the series of acquisitions by multinational businesses (CUB/AB InBev with 4 Pines and Pirate Life; Asahi with Cricketers Arms and Mountain Goat; Lion/Kirin with Little Creatures/White Rabbit and Byron Bay Brewery; Coca-Cola Amatil with Feral), there have been many involving smaller Australian businesses. 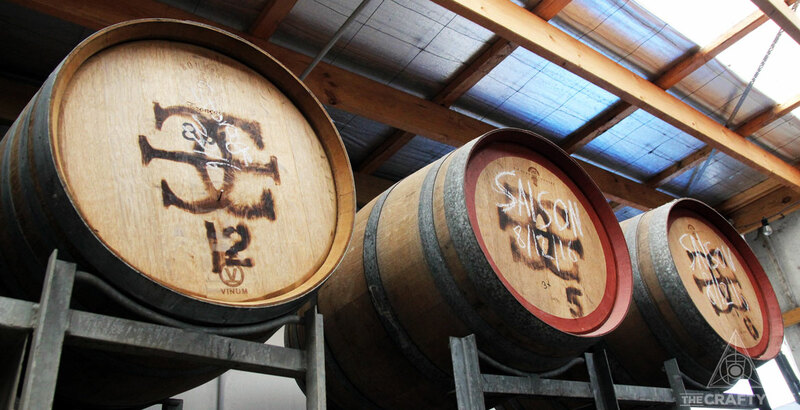 Last year, Dixon Hospitality (now Australian Venue Co, part of the KKR group) bought Hawthorn Brewing and Broo bought Mildura Brewery, while 2018 has seen Gage Roads acquire Matso's and now Tribe take on Wilde and Mornington Peninsula Brewery. 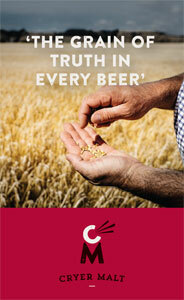 Add in the "crafty" brands owned by retail giants Coles (3 Pub Circus, Lorry Boys and Steamrail) and Woolworths (Sail & Anchor and John Boston) plus the growing group of businesses operating with links to the Fermentum Group, launched by Stone & Wood and including Fixation Brewing, Granite Belt Cider, Bucha and the Square Keg distribution business, and you have an industry that's becoming more complex as it expands and matures. Matt believes "we'll see more" acquisitions like today's, with the arrival of other ambitious new players like Brick Lane Brewing adding further competition to an already busy marketplace, one in which Anton says all smaller businesses are "competing with highly integrated and efficient breweries." Says Matt: "You've got to continue to be resilient enough to be part of the industry. How do I grow? Do I remain small and nimble or think about scaling?" At Tribe, the intention is to be able to work with breweries like Mornington Peninsula "in a variety of ways", while allowing them to remain independent as per the IBA's guidelines – at least as long as Tribe's total annual beer output remains under 40 million litres. There are examples in the US of breweries banding together in different ways. Redhook and Widmer formed the Craft Beer Alliance in 2008, later welcoming Kona and another five producers into the fold. However, since AB InBev took a significant stake in 2010, none of these companies are regarded as craft brewers by the US Brewers Association. 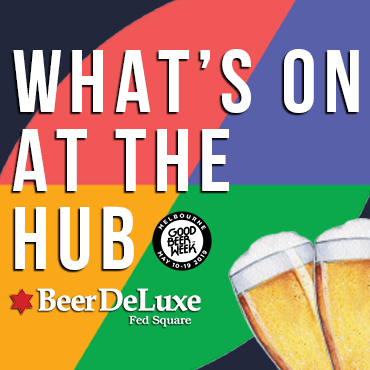 Brew Hub is closer in structure to Tribe, majority-owned by a private equity firm and producing several of its own brands plus large scale contract batches for other "partner" brewing companies. Then you have CANarchy, the "disruptive" collection of US brewing companies part-funded by another private equity firm that includes the likes of Oskar Blues Brewery, Perrin Brewing Company, Cigar City Brewing, Squatters Craft Beer and Wasatch Brewery, Deep Ellum Brewing Company and recent AIBA champs Three Weavers. "When we look at the market here [in Australia], it's about creating options," says Anton. "We've got a big brewery and we've got distribution [and] we're open to ideas of how to work together." Looking ahead, he says: "I don't know how much this stuff will happen [but] over time, you might see little coalitions occur." Certainly, it's a fascinating time to be involved in beer in Australia, whether your passion is for quality and innovation in beer or the chameleonic machinations of the industry itself. You can view our Ownership Infographic first posted in June here. We'll be publishing an updated version soon. We've since interviewed an expert in the business of craft beer at the University of Melbourne about what this and other recent moves in the industry may mean for the local beer world. Read that interview here.